Cozy and cool, jumpsuits are a ticket to chic. Designers have incorporated spring’s hottest patterns and fabrics into stylish jumpsuits that are Miami must. From sipping mimosas by the beach to dancing the night away, a jumper always makes elegance easy. 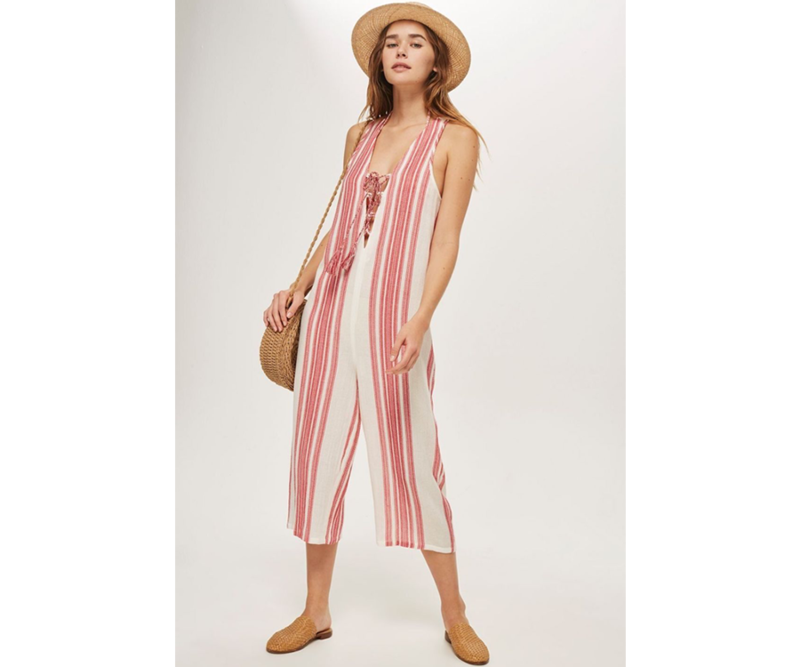 We’ve devised a guide to the five best jumpsuit trends of the season found at the best mall in Miami. It wouldn’t be spring without garden party-inspired florals. Pluck the best floral jumpsuit from a bouquet of Aventura Mall’s boutiques. 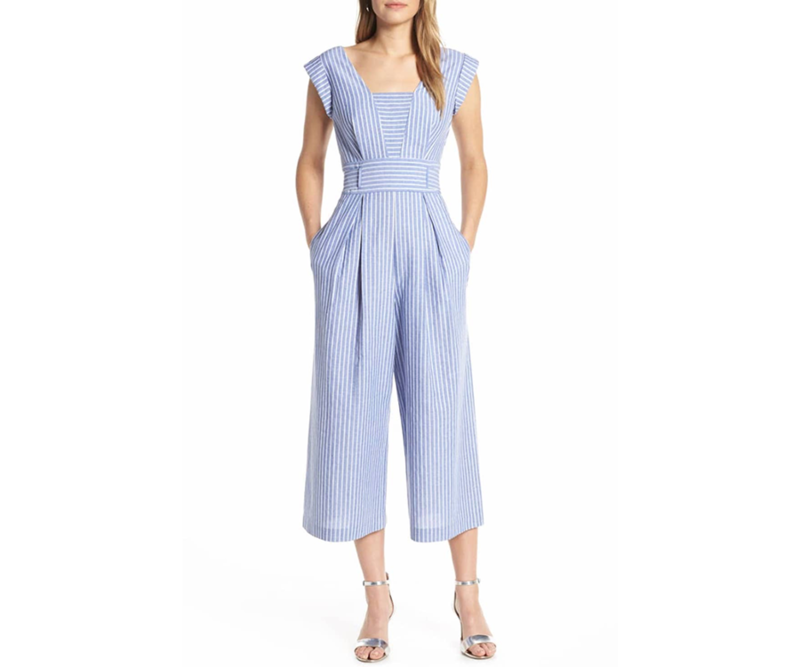 Anthropologie’s romantic ‘Troubadour’ jumpsuit features dreamy ruffled sleeves in soft spring pastels. 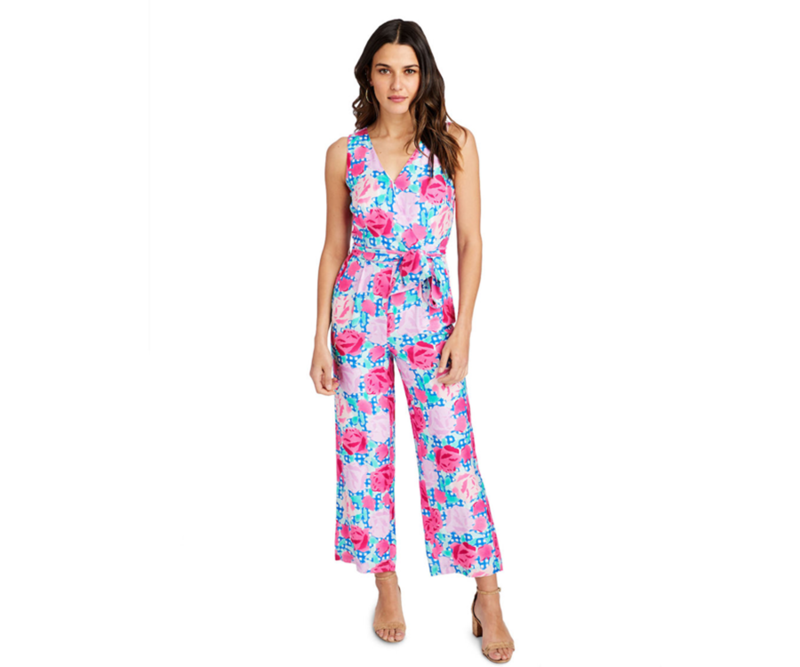 For a vibrant jumpsuit that’s just as elegant as it is eye-catching, Vineyard Vines’ rose patterned jumpsuit exudes with preppy perfection. For a 305-approved look, Diane von Furstenberg’s ‘Barry’ jumper features playful palm leaves in a tropical palette. Lightweight striped and seersucker cotton is the fabric of the season. In South Florida, the heat is always on. A comfortable cotton jumpsuit is the perfect staple to make use of all year long. Bold primary and secondary colors are alive and well this spring. Add a little zest and spice to your Miami-approved wardrobe by incorporating a chic and bright jumpsuit. Ideal for walks on Collins Avenue, these vivid jumpers are comfortable and classy. 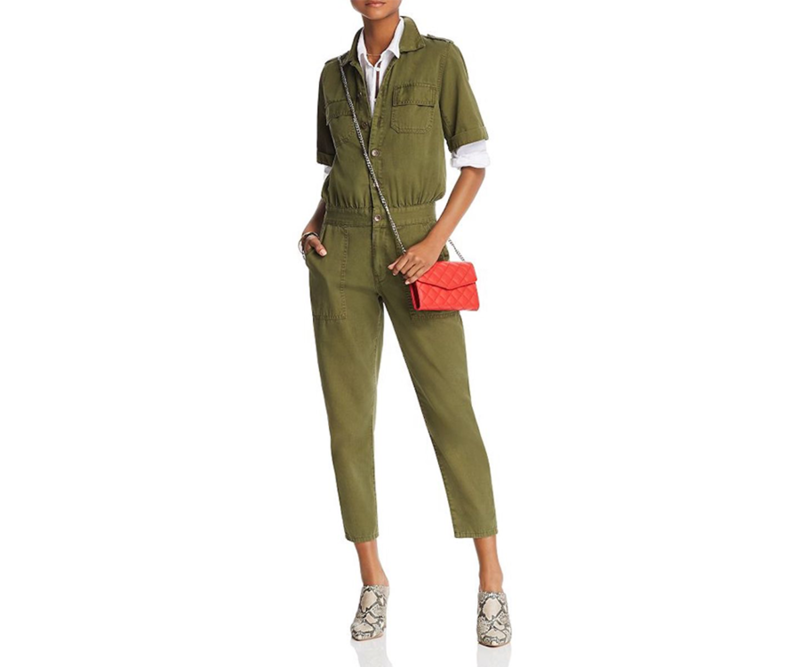 Utility jumpsuits in earth tones like olive are an effortless chic trend for springtime. 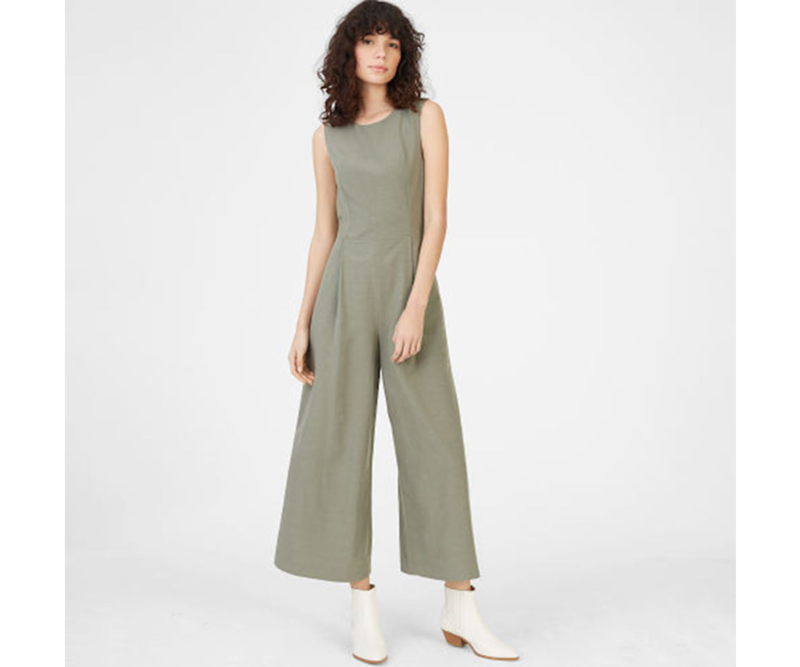 Club Monaco’s ‘Lynall’ jumpsuit is a clean-lined suit that is both modern and organic. For a complete utilitarian-inspired look, True Religion’s army green jumper is a smash hit.